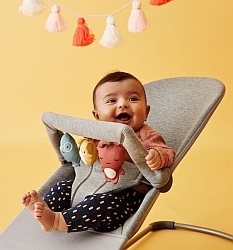 The perfect choice for your baby’s first high chair! It’s comfortable for your child and its safety features are reassuring for you as a parent. 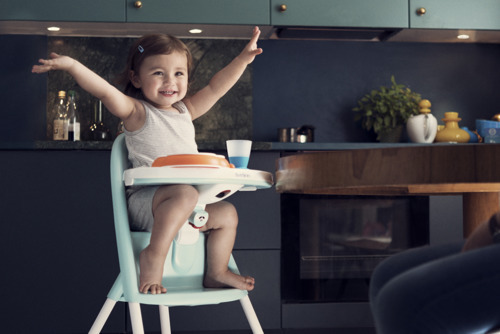 BABYBJÖRN High Chair has a unique safety solution, with an adjustable tray that locks into place. This keeps your child sitting securely and properly during mealtimes. A safety harness provides extra protection. The high chair is easy to clean. It folds flat, and is lightweight and convenient to take with you. 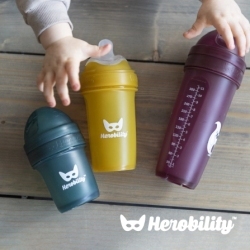 Suitable for children aged 6 months to 3 years. The high chair tray can be opened and acts as a lock when closed. This makes it harder for your child to stand up in the high chair or use their feet to push away from the table. 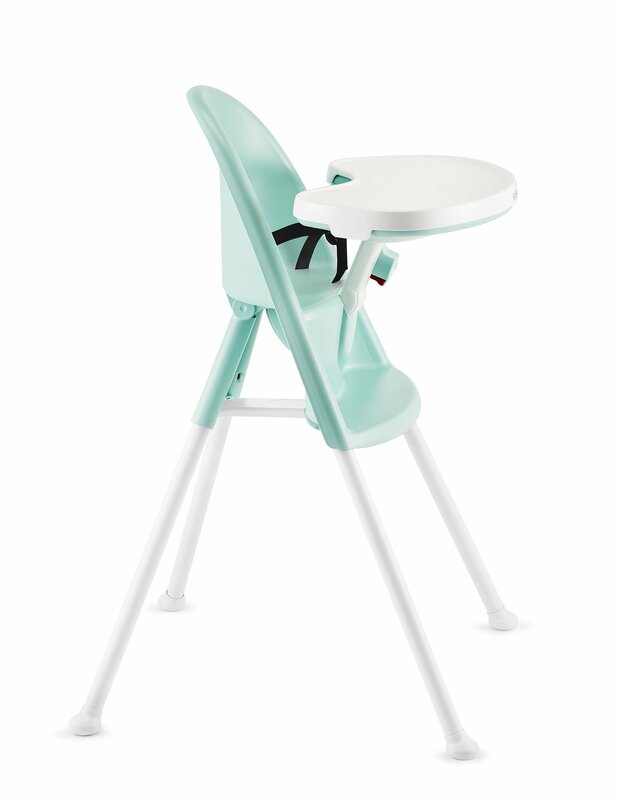 The high chair includes a safety harness that keeps your child sitting securely during mealtimes. 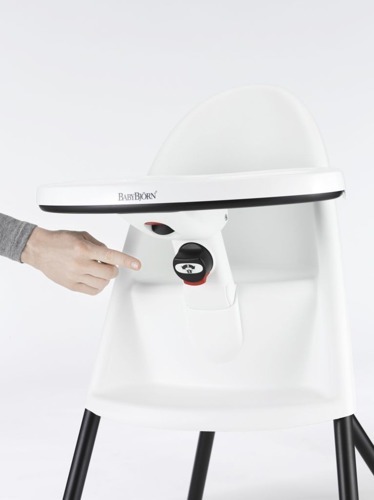 The high chair has a safety lock that can only be opened by an adult. 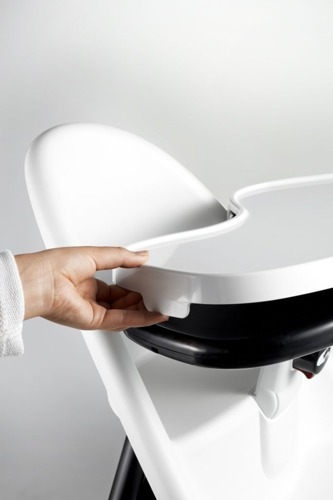 The curved backrest helps your child sit upright, and the tray can be adjusted as your child grows. 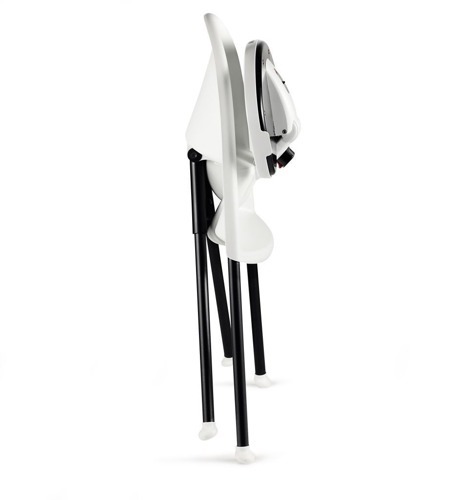 The high chair is cleverly designed and folds up easily. When folded, it is only 25 cm wide and can be stored away or brought along on trips. 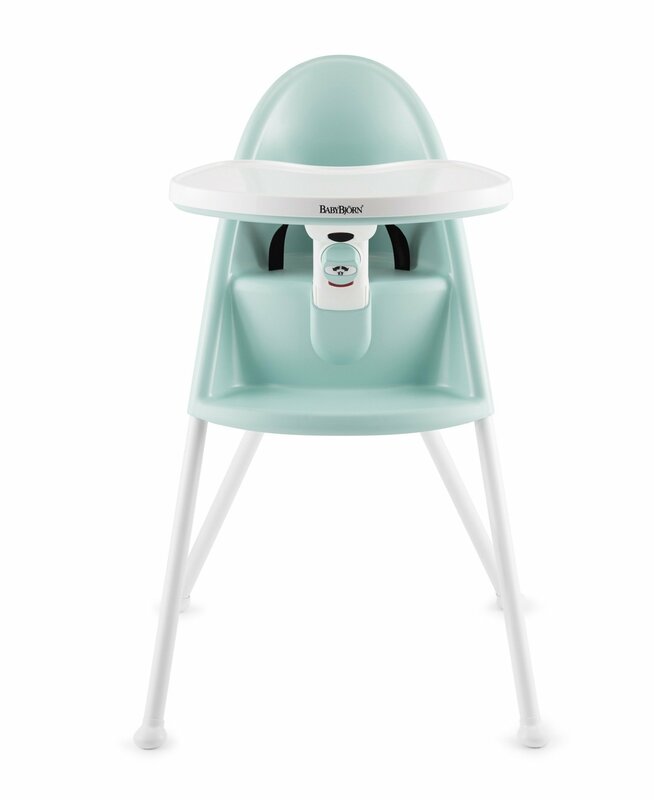 The high chair has smooth surfaces, with no hard-to-clean places where food can collect. The tray also fits snugly against your child’s tummy to prevent food from falling into their lap. It is easy to detach the tray and wash it by hand or in the dishwasher. The high chair is delivered complete. No additional accessories are needed. 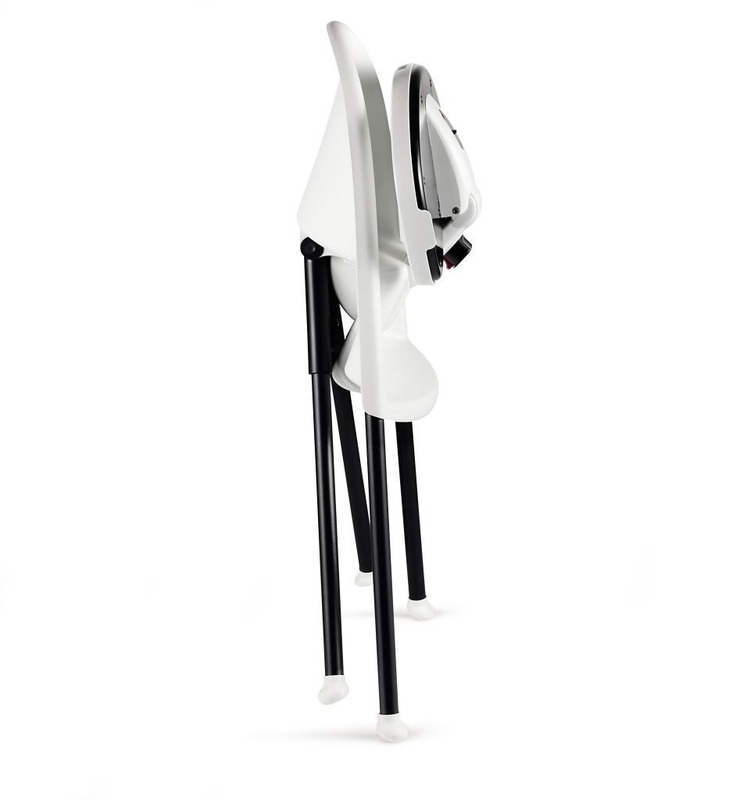 Simple assembly of legs – no tools required. The BABYBJÖRN High Chair complies with the EN14988:2017 and ASTM F404 safety standards.